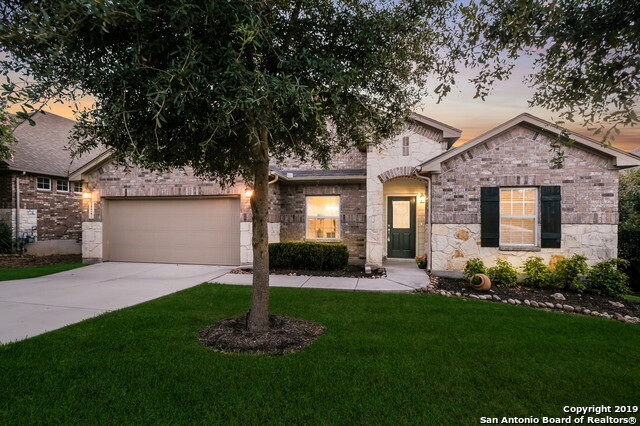 All PROSPECT CREEK AT KINDER homes currently listed for sale in San Antonio as of 04/22/2019 are shown below. You can change the search criteria at any time by pressing the 'Change Search' button below. "SITTERLE LUXURY HOME IN KINDER 80'S. 4 BEDROOM, 3 BATH AND 3 CAR GARAGE WITH 9X12 STORAGE AREA. OPEN FLOOR PLAN WITH HIGH CEILINGS. BEAUTIFUL ENTERTAINER KITCHEN WITH STAINLESS STEEL DOUBLE OVENS AND 5-BURNER GAS COOKTOP AND GRANITE COUNTERTOPS. MASTER BATH HAS LARGE WALK-IN SPA SHOWER AND GRANITE COUNTERTOPS. EXTENDED COVERED PATIO OFF GREAT ROOM. THIS HOME ALSO HAS A GAME ROOM AND STUDY." 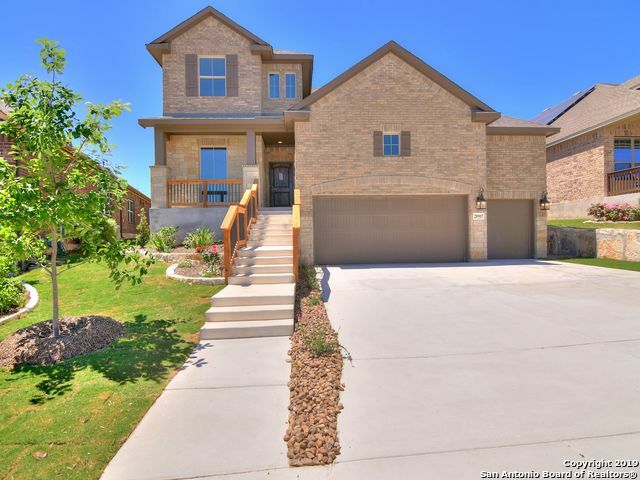 "THIS TWO-STORY SITTERLE HOME HAS 4 BDRMS AND 3.5 BATHS. TILE FLOORS IN THE GREATROOM AND DINING, WOOD FLOORS IN THE STUDY. THE KITCHEN HAS GRANITE COUNTERTOPS, PAINTED CABINETS, STAINLESS STEEL DOUBLE OVENS AND A 36 GAS COOKTOPS WITH VENTHOOD. THE MASTER BEDROOM IS DOWNSTAIRS AND THERE ARE THREE BEDROOMS, 2 BATHROOMS AND A GAME ROOM UPSTAIRS. EXTENDED COVERED PATIO OFF GREAT ROOM." 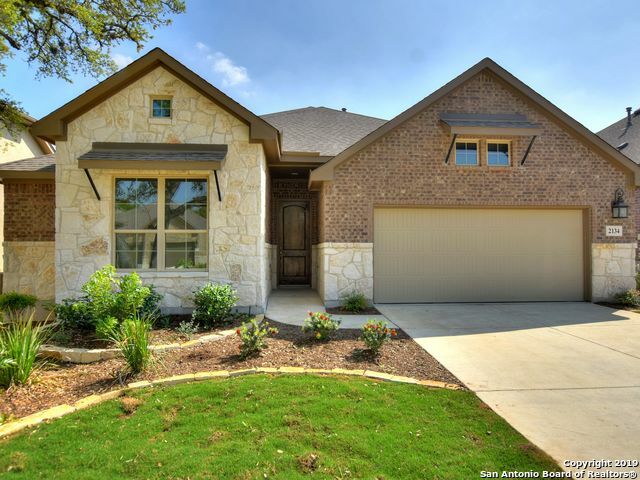 "BEAUTIFUL SITTERLE 1-STORY HOME LOCATED IN PROSPECT CREEK AT KINDER RANCH. OPEN FLOOR PLAN WITH HIGH CEILINGS, WOOD FLOORS IN LIVING AREAS, GRANITE COUNTERTOPS AND PAINTED CABINETS ALONG WITH A STAINLESS STEEL 36 GAS COOKTOP AND VENTHOOD. GRANITE COUNTERTOPS IN MASTER BATH AND SECONDARY BATHS. 4 BEDROOMS AND A STUDY." "NEW CARPET! 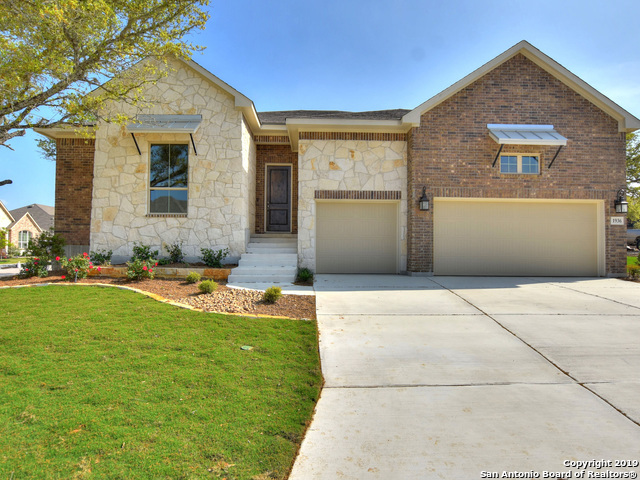 FANTASTIC floor plan - 4/3.5 one story w/ half story game room up w/ surround sound, 3500+ SF! Excellent floor plan is open concept w/ white cabinets, granite countertops, & large kitchen has unique island perfect for entertaining! Two dining areas, office, & flex space is perfect for play room or craft room. SURROUND SOUND! Huge covered patio + deck overlooking GREENBELT, w/ shaded play space underneath! 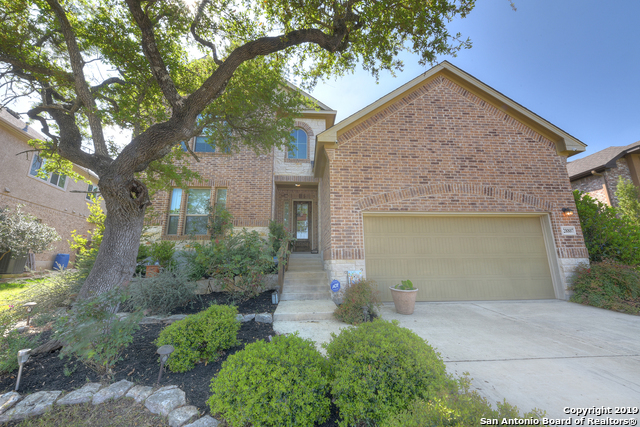 Comal ISD, close to Kinder Ranch Elementary & Pieper Ranch Middle School! Grea"
"Absolutely GORGEOUS Sitterle 4 bed, 2.5 bath with over 3,000 sq. ft in Prospect Creek at Kinder Ranch! Beautiful custom mosaic tile work in Entry along with Wood floors in Dining Room and Stairs. Great Kitchen with island that opens up into the Living room that features High Ceilings. Master downstairs, 3 bedrooms upstairs with a Large Game room, pre-wired for Surround Sound. Large backyard that is great for entertaining! New Water Heater as of 2019."